I don’t make this dish very often, but when I do I completely enjoy it. For this dish, I always drain and press my tofu the night before, freeze it, bake it, and then fry it. That’s not hard at all, but it can be time consuming. It definitely has a more ” meaty ” texture and is not so mushy if you take the time to prepare it that way, though. Hope you enjoy as much as I do. Prepare your tofu, if you froze it, thaw it out by baking it for about 20 minutes. 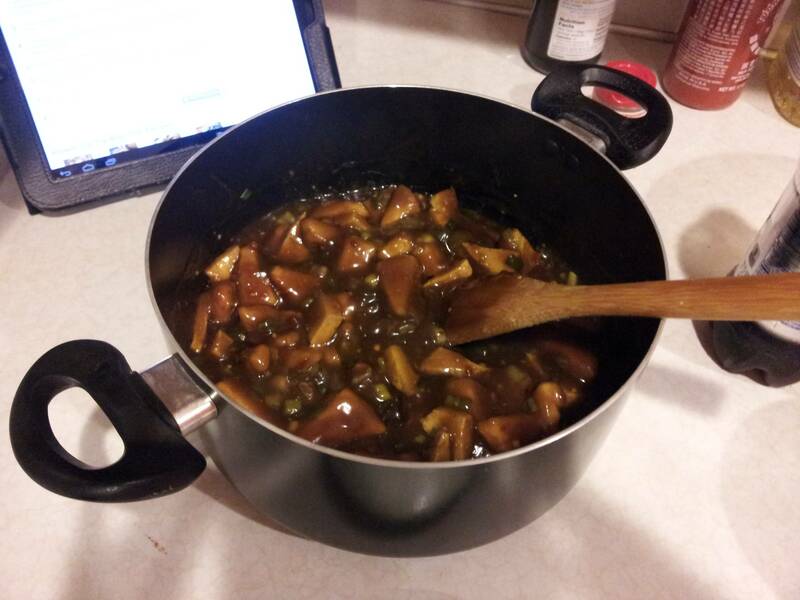 Coat your tofu pieces in the egg replacer mixture, and roll in cornstarch or flour. Fry in oil until golden brown, drain and set aside while you prepare the sauce. Heat 3 Tbs oil in pan on medium heat and add scallions, ginger and garlic, cook for about 2 minutes. Add vegetable broth, soy sauce, sugar, red pepper flakes and vinegar. add fried tofu and steamed or baked broccoli and mix well to coat. 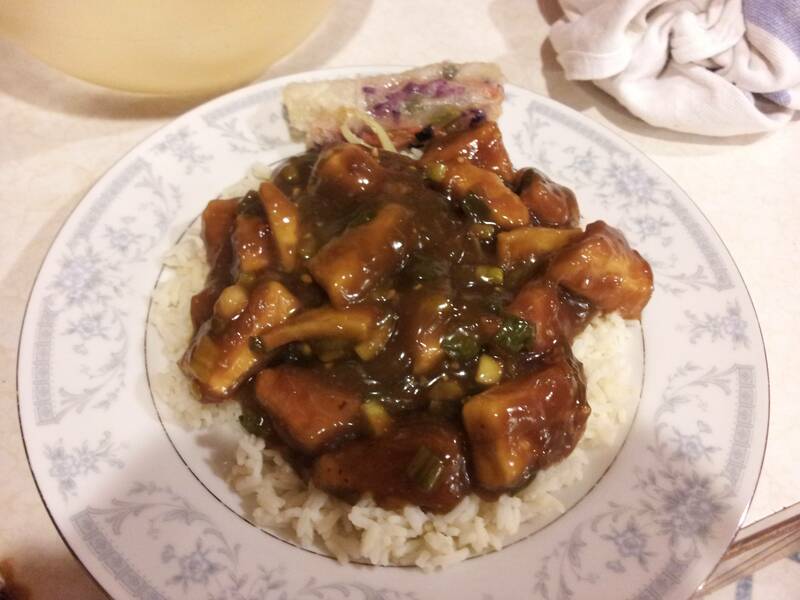 This entry was posted in Recipes and tagged broccoli, cornstarch, egg replacer, flour, garlic, general tso, ginger, red cooking wine, red pepper flakes, rice, scallions, soy sauce, sugar, tofu, vegetable broth, water. Just made this today. It was great! Compared to other fried tofu dishes I’ve made, the texture of the tofu is much better when it’s frozen, baked, battered, then fried — definitely worth the time/effort.